•	Get listed on 500 Review/Citation/Directory sites. •	Your own reputation management web page. •	500 custom reputation management business cards delivered each month. •	Mass email and text support. Hand the cards out to customers, drive positive reviews, leverage negative reviews. •	Get your own Review My Company web page. •	List your company on 500 Review/Citation/Directory websites. •	Huge boost to search engine visibility. •	List your company on 250 Review/Citation/Directory Websites. •	Helps boost search engine visibility. The main factors that are important to a business’ success are product, service, price, and reputation. A good reputation takes time to build, but we can help your business implement a solid strategy through managing your online presence. 6 in 10 Consumers Now Look to Google for Reviews. Yelp is Second, Tripadvisor 3rd, and Facebook 4th. These are some of the main sites that we focus on directing your customers’ positive reviews. Google is the review site of choice. 63.6 percent of consumers say they are likely to check online reviews on Google before visiting a business. We are keenly aware of this fact, and understand buyer behavior and motivations. Our services allow you to target these customers. Negative reviews drive away customers. 94 percent say an online review has convinced them to avoid a business. This goes without saying, but that is a high percentage. Customers are paying attention to what others are saying about your business online. And you want them to give you glowing recommendations because it not only spreads online, but also by word-of-mouth. 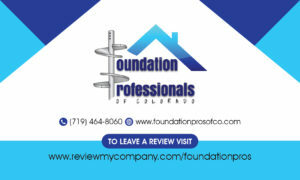 We help you minimize those negative reviews through your own dedicated review site. Customers don’t really trust businesses with lower than 4-star ratings. 80 percent of consumers say the star ratings they trust the most are 4.0 and above. We help you attain those higher ratings and incorporate the law of averages to increase the number of high ratings. In essence, your online presence and your ratings are important. With so many companies to choose from, consumers look to others to give them a glimpse into your business. If they can’t use word-of-mouth, they go to online reviews. When they see your business, you want the representation to be valid, positive, and at the highest ranking available. Here are the benefits we offer. We help keep negative reviews in-house. This means you’ll get notified by email when a customer is unhappy. This will give you the ability to collect negative patterns and make adjustments to your business before they ruin your reputation. We help provide a positive online presence for your company by generating more reviews, increasing your star ratings, and getting more positive feedback on public review sites. This service is designed to help increase search engine visibility and help rank above competitors on multiple sites and search engines. These services provide a seamless experience for the consumer and give your business more control over reviews generated on public sites. By using our service, your business gains impressive results. It’s simple. Increased positive feedback plus increased number of positive reviews, leads to greater visibility and ranking over competitors. That’s great for your reputation, customer trust, and for your overall sales. In addition to the above benefits, you get Marketing tools to assist with your business. Your company will be submitted to 500 local business directories and review sites! This greatly improves SEO (Search Engine Optimization) results. Remember, a bigger online presence is also part of the formula. We help improve your placement by making your business visible in various categories within your industry. Mass email and text message portal allowing you to follow up with your customers and get more reviews and offer special promotions.